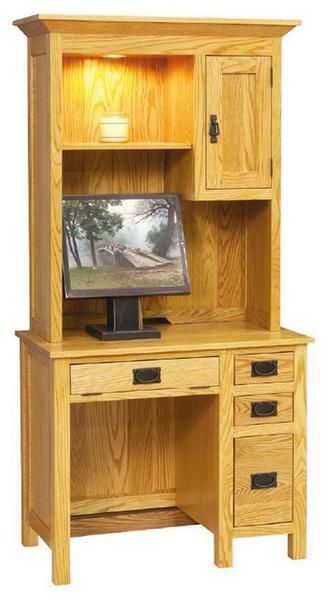 At only 36 inches wide, this narrow Mission Style Computer Desk with Hutch Top is a great space saving piece of American made office furniture. The solid wood hutch top adds storage to the top of the desk so that it only uses the vertical wall space instead of adding to the desk width where it would take up more valuable floor space. This convenient desk design it perfect for anyone with a small office or anyone wanting to create a multipurpose room in their house, like a bedroom/office combination.